If you’re thinking of remodeling your kitchen, you need a designer you can trust. And when you have someone you can really trust in your life, that person might just be a candidate for “best friend” status. Right? So we’re going to talk (or, technically, write) straight from the get-go with your project. We won’t sugarcoat anything, but we’ll be here for you every step of the way to make things as seamless and easy on you as possible to get the results you want—like a true BFF. First things first: Please disregard almost everything you’ve ever seen while watching a renovation show on HGTV. Phenomenal kitchen transformations out in the real world don’t happen in compressed time frames that can be edited into the half-hour format of a TV show. 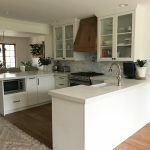 As your best friend in kitchen design, we’re here to break it to you that kitchen renovation projects are involved, but the good news is we are pros at this, so we’ve got you covered. If you want your IKEA kitchen renovation to go as smoothly, hiring an IKD designer is the best decision you can make. Here are five reasons why. 1. IKD kitchen designers are IKEA ninjas. We can all go ahead and admit that IKEA can be tough to navigate. And the last thing you want to experience in the middle of a renovation project is unnecessary frustration. Don’t get us wrong—we love IKEA! But you shouldn’t have to deal with the hassle and pitfalls of IKEA’s Home Planner or a lesser design service that really isn’t about “design” at all. Instead, you should work with an IKD designer to alleviate all of those headaches. Our team knows IKEA products inside and out. Literally! You could even say we “speak” IKEA (as a matter of fact, stay tuned for a blog post later this month where we’re going to be giving a “language lesson”). Let us focus on navigating the IKEA catalog so you can focus on what really matters: dreaming up a space you and your family will love for years to come. 2. You get unlimited revisions on your design. 3. Your IKD designer will save you time and money. More time? More money? Oh, it’s our pleasure! After all, what else would you expect from your BFF in IKEA kitchen design? We have specialized skills, knowledge, and technology backed by years of experience working with IKEA products. With IKD on your side, there’s no need to worry yourself with the big learning curve it would take to do this on your own. As your new best friend, we certainly don’t want you to be burdened in trying to use the IKEA Home Planner. IKEA kitchens are great for the budget-minded, but their software doesn’t show you where you can save money. And on top of that, it often misses the small details that can make or break your remodel. You could walk away with too few pieces to complete your design, which wastes your time and your money. But we know all the ins and outs and can give you a detailed list of everything you need to get the job done right the first time. 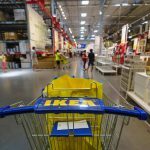 Learn more about what IKEA can’t do for you in this article. 4. Hiring us for your kitchen design lets you focus on the fun stuff. What the renovation shows on HGTV don’t show you is all of the mundane and boring behind-the-scenes details. Remodeling is not all about the cosmetics of how your space will look or even the “fun part” about how it will do a better job of helping you cook and store stuff. It’s a lot of work and can get quite detailed. But when you work with your IKEA kitchen designer BFF, we take on all the detail work and let you focus on the fun stuff—the aesthetics, the functionality, the feel and ambiance of your kitchen-to-be. We guide you through the process to create a kitchen that’s not only beautiful but that fits your cooking and entertaining style. 5. We’re with you; you’re not in this alone! As your best friend in IKEA kitchen design, we’re alongside you to make the project work. You don’t have to go it alone, and you can trust we’ve got your back on this one. So—there you have it. Just get in touch with us (like a true friend, we’ll be happy to hear from you! ), and we’ll walk you through the design process and make it as pleasant and simple experience as possible. Check out IKD Premium today to get started.